Remembering all those who lost their lives or received life changing injuries during Operation Corporate 2nd April 1982 - 14th June 1982. Click here for an [Alternative view of this ROH]. 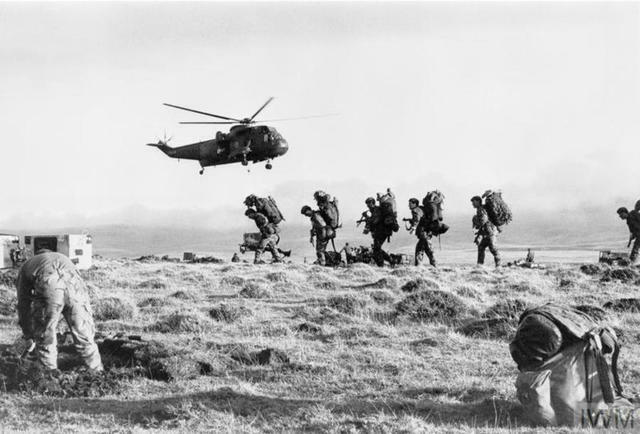 The following were Mentioned in Dispatches, or received the Queen's commendation for Brave Conduct, in recognition of service during the Falklands War. 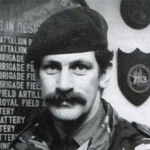 Lt Col. Keith Richard Hubert EVE, RA Liaison Officer attd. 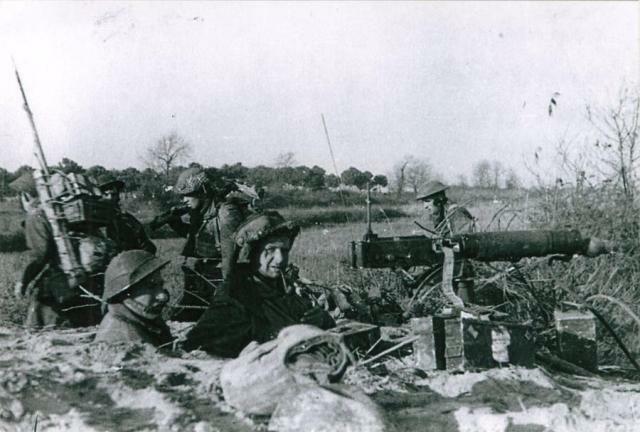 29 Commando Regt RA. 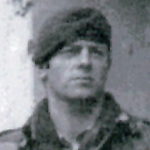 Major Peter Ralph LAMB, RM, SO2 G4 Ops. , NO12487F. 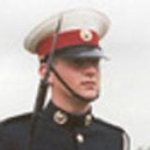 Major Michael John NORMAN, RM. 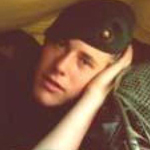 Lance Corporal Colin Davison was killed by an enemy bombing attack during operations at Ajax Bay on the Falkland Islands. 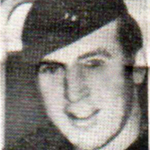 Sergeant David Hadlow received a Mention in Despatches in recognition of service during operations in the South Atlantic. Marine Graham Hodkinson received a Mention in Despatches in recognition of service during the operations in the South Atlantic. 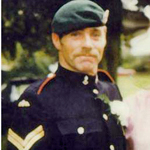 Corporal Kevin James was awarded the Queen's Gallantry Medal in recognition of service in Northern Ireland during the period 1st August to 31st October 1978 . 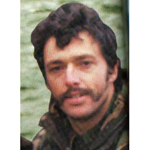 In 1982 Sergeant James Q.G.M. 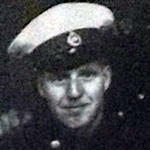 received a Mention in Despatches for his service during operations in the South Atlantic . London Gazette Supp. 47804, page 4057. London Gazette Supp. 49134, page 12843. Major Peter Lamb received a MiD in recognition of service during the operations in the South Atlantic . 17th June 1989 Major (Local Lt. Col) was appointed O.B.E. (Military Division in the HM the Queen's birthday honours list . London Gazette Supp. 51772, page B5. Corporal Thomas McMahon received a Mention in Despatches in recognition of service during the operations in the South Atlantic. Sergeant Henry Napier received a Mention in Despatches in recognition of service during operations in the South Atlantic. 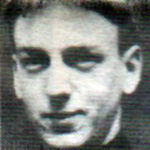 Marine Andrew Neat received a Mention in Despatches in recognition of service during the operations in the South Atlantic. Marine David O'Connor received a Mention in Despatches in recognition of service during the operations in the South Atlantic. Captain Eugene O'Kane received a Mention in Despatches in recognition of service during the operations in the South Atlantic. London Gazette Supp.49134, page 12842. 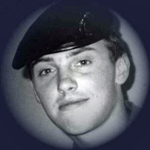 Marine Keith Phillips died during operations on the Falkland Islands. Lieutenant Roland Playford received a Mention in Despatches in recognition of his service during operations in the South Atlantic .